I still cannot comprehend that there are people who are so threatened by you and your work that they kidnap and ‘disappear’ you for more than a year. I first met you in Hawaii in the 1970s, and have yet to meet a gentler, kinder person with a twinkle in the eyes and a warm sense of humour. You cared passionately about what was happening in your country, we were all concerned about the war in Vietnam and the bombings in Laos, but there was never a doubt in your mind about going back to Laos after completing your studies. You wanted to work with the farmers and the rural poor for sustainable development, long before that phrase became fashionable. I caught up with you again in 1995 when I had the pleasure of working with you and your group on a study of how rural families coped with flooding of the Mekong River. By then Shui Meng and you were well settled in Vientiane. I experienced how egalitarian you were in your dealings with people, how you really listened to what they said, how open-minded you were in your discussions with them and what a great atmosphere of trust there was around you. Nobody doubted that you cared about them. 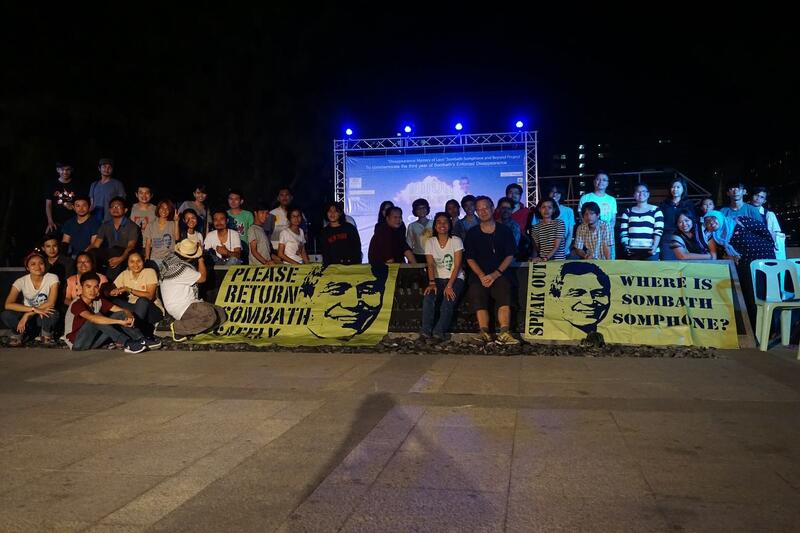 Dear Sombath, I truly hope you will come back soon to Shui Meng and all of us who love and admire you, both for the person you are and for the work you have been doing which is now being carried on by those around you. Stay strong and take care.